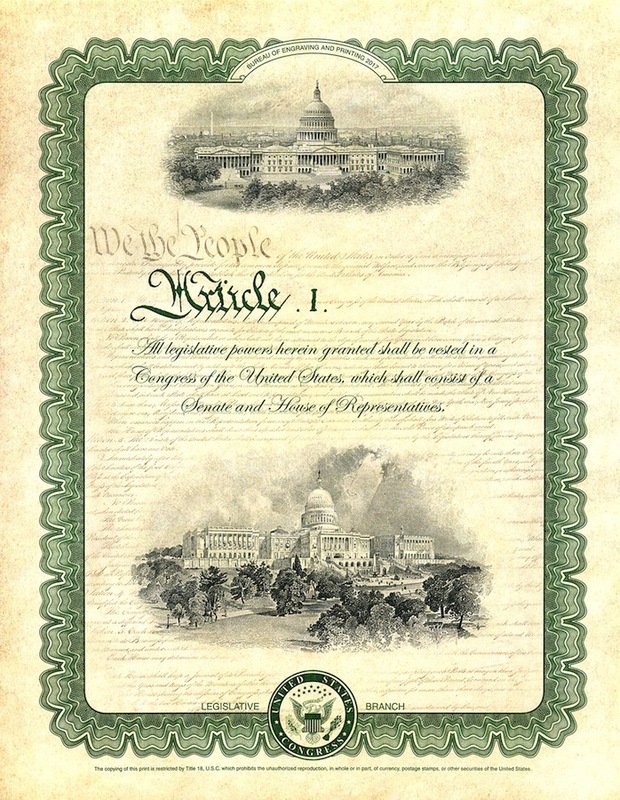 First Day of Sale: April 4, 2017 (8:00 a.m., ET) – The Bureau of Engraving and Printing is pleased to introduce, “Legislative,” one of three cards in the “Constitution Series” Intaglio Print Program. This year’s program focuses on the United States Constitution. This collection features an exquisite compilation of unique engraved vignettes focusing on the age-old art of intaglio printing. The complete collection is available for $51.00 and features an exquisite compilation of unique, engraved vignettes in recognition of the U.S. Constitution.